so I keep my sx-70 loaded and ready because you never know. you never know when you're going to stumble onto something. there you are, just driving along, thinking about getting on to the next thing, the next whatever and you see it (that magic thing, whatever it is) and you must stop. you must always stop. because inevitably, you will forget. or the light will change or a big ugly car will pull up and park right in front of it or they'll tear the flags down or paint over all those candy-colored little bricks. of course there's the iphone, there's a hundred other cameras and really, they're all lovely but there's just something about the sx-70, something about what it does with color and light. there are just times when no other camera will do. Awesome shots! I've been itching to get a Polaroid camera for a while now, but I'm not sure where's the best place to buy one. Where'd you get yours? I've seen a lot on Etsy but sometimes they say they're not tested, so I don't wanna buy it and then find out it doesn't work! hey there, kimmy! sorry for the delayed response. I have a couple folding sx-70s (and have gone through a couple) and they've all come from different places. I've bought off ebay, from a local vintage camera shop and lucked out at the thrift store. and you're right-- you should absolutely buy one that's been tested first. unless, of course, it's cheap enough to take a chance on. but if you're spending any more than $25, I recommend going with one that's been tested. keep checking etsy (bound to be a tested camera there eventually) and of course, ebay is always a source. I just dread the bidding, so I tend to go right for the 'buy it now' auctions. also, the impossible project offers refurbished sx-70s every once in a while. they're usually pretty expensive but beautifully restored and the folks there are wonderful and available to trouble shoot, should you have any problems. hope that helps! happy sx-70 hunting! Thank you very much! That definitely helps. can't wait to see you, lady! july's photowalk will be oh so lovely! 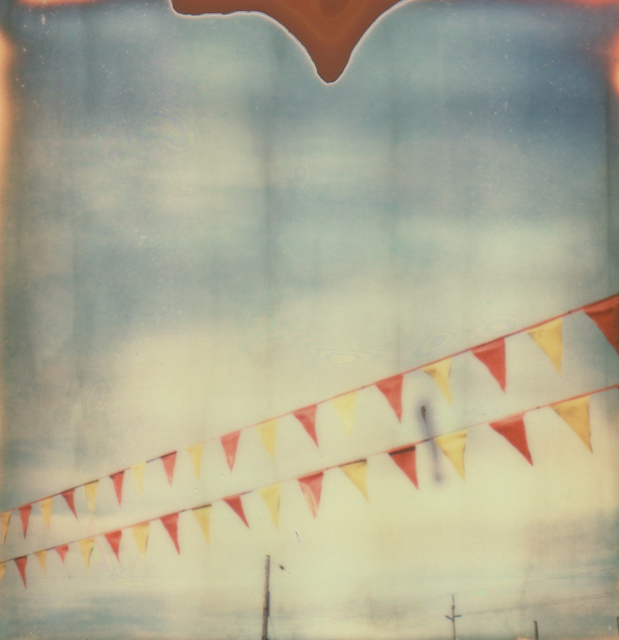 There is something about what you do with the SX70. I badly want one! These pictures are really very lovely. I must carry my camera around with me more; capture more moments. Thank you for this reminder - I keep telling myself I need to allow an extra 10 minutes on the way to whatever, just so I can stop at those moments and take those pictures...and not regret missing the chance. yes! that extra ten minutes can be golden. I'm not always good at allowing for it (which means I run late from time to time) but it's so good to build that in! Love the colors and soft quality of these photos! I was just wondering what type of SX-70 do you use? When I look them up, there are several different versions that really vary in price range ($25-200)- from the one step land camera to the sonar one step and so on. I really don't know that much about vintage cameras, and have just recently gained interest. 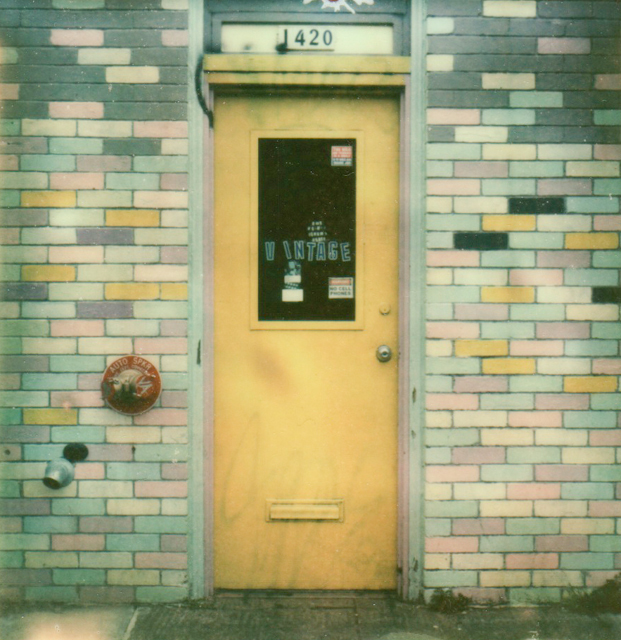 Is there much of a difference in the quality of photographs produced between the SX-70 models? Thanks so much! hey thanks, britney! I shoot with a folding sx-70 (alpha-1 model). and boy do I know where you're coming from. when I first started out, I found it all horribly confusing! I saw a photograph taken with an sx-70 that I absolutely loved and went looking for the camera. had no idea there were so many different types/models, that they produced such different looking images! after many many cameras (and many many mistakes), I finally made my way to the folding sx-70. to this day, it's my absolute favorite camera to shoot with. the folding sx-70 was first introduced in the early 70s and functions like an SLR (which is partly why it does such lovely things with color and light, produces such a lovely depth of field). later on, polaroid introduced a plastic one-step version of the sx-70 (the one with the iconic rainbow stripe down the front) that was cheaper and easier to use. it's capable of fun images but just doesn't really compare with what the folding sx-70 can do. this is why these plastic models are usually cheaper and easier to find. more of them were produced and they're not in as high demand as folding model that came before them. overwhelming but thorough, that's for sure. anyway, I hope this helps. and if you have any other questions, I am happy to answer them!